Husband and wife Chad and Angie Johnson epitomize integrity, honesty, and unparalleled service in every step of the real estate transaction. They take exceptional care in getting to know each of their clients’ needs, ensuring that each family is successful in their search while creating relationships that span many years. 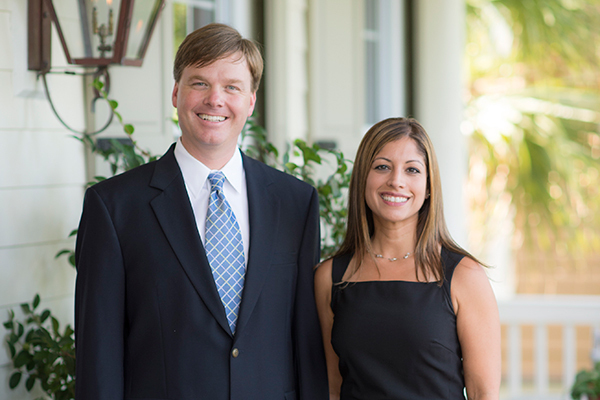 Chad specializes in Charleston-area residential and commercial real estate, and Angie focuses on residential real estate and land sales on Daniel Island. In their 25+ years of combined experience, the pair has closed over 300 million dollars in sales thanks to their tenacity, hard work and band of remarkably loyal clientele. Chad and Angie are both Realtors of Distinction, an honor that recognizes the top 10% of sales producing Charleston REALTORS® and members of the East Cooper Top Producers Club. They are also extremely active in their community. Chad is on Board of Trustees for Charleston Stage/ Dock Street Theater and on the Advisory Board for the Charleston Bilingual Academy, while Angie is a member of the City of Charleston Planning Commission, and serves on the Board of Directors for the Charleston Trident Association of Realtors. Perhaps one reason why Chad and Angie are so successful in their real estate endeavors is their love and enthusiasm for life in the Lowcountry. Raised in upstate South Carolina, Chad and Angie were high school sweethearts and relocated to Charleston in 2000. Since then, they’ve established their real estate careers and welcomed three wonderful boys to their family. Together, they take advantage of all that Charleston has to offer, spending a lot of time at the beach, the golf course, and indulging in the city’s fantastic culinary scene. When they’re not soaking up the sun in Charleston, they are spending time at their family’s mountain home in Highlands, NC or at Palmetto Bluff, their favorite vacation destination. We're sorry, but we couldn't find MLS # 18028865 in our database. This property may be a new listing or possibly taken off the market. Please check back again. 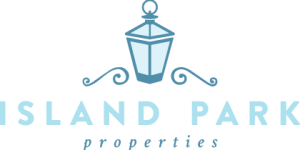 © Copyright 2019 Island Park Properties. All rights reserved. © Copyright 2019 Island Park Properties. All rights reserved. The data relating to real estate for sale on this web site comes in part from the Broker ReciprocitySM Program of the Charleston Trident Multiple Listing Service. Real estate listings held by brokerage firms other than Island Park Properties are marked with the Broker ReciprocitySM logo or the Broker ReciprocitySM thumbnail logo (a little black house) and detailed information about them includes the name of the listing brokers.